These are the sentiments of many firms in the architecture community. There’s absolutely nothing creative about it and yet it is crucial to the growth of all design firms. Consider the following. To do what you love, you must have a profitable business. To have a profitable business you must make well informed business decisions. To make well informed decisions you need to have financial clarity. Financial clarity is achieved through great bookkeeping. 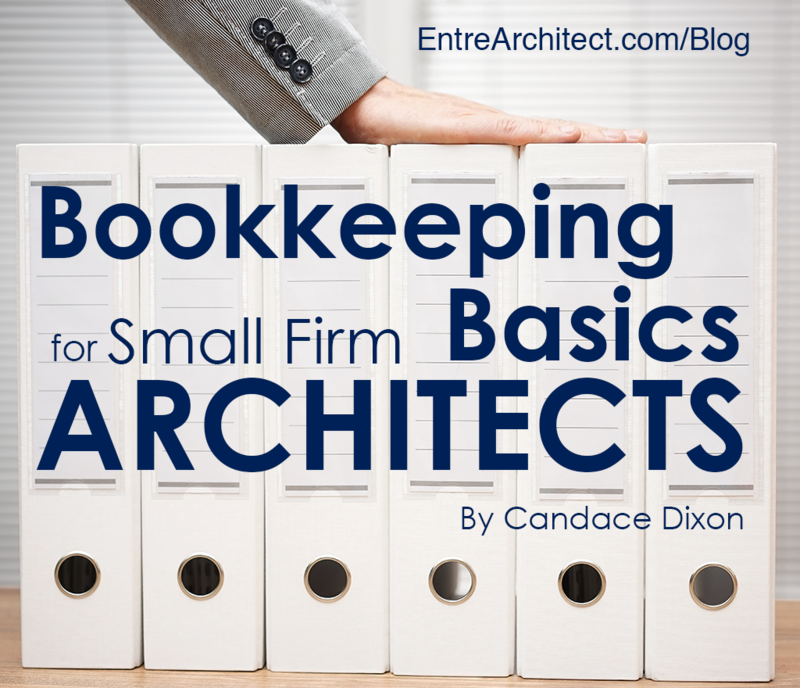 With that being said, allow me to share my bookkeeping basics for architects. It’s a wonderful companion on the journey to passionate and profitable design. Bookkeeping is the classifying, recording, and reconciling of financial transactions. The Chart of Accounts (COA) lists the names and codes of each account and is used as a guide to keep those transactions organized. Accounts are then prepared into financial statements or reports that help tell your firm’s financial story. The big 3 financial statements are the Balance Sheet, Income Statement, and Statement of Cash Flows. The Balance Sheet gives you a snapshot of what you own (assets), who you owe (liabilities) and what’s left over (equities) for a specific point in time. The Income Statement displays your revenues, costs, expenses, and profit for a specific period of time. And the Statement of Cash Flows gives you an autopsy of cash going in and out of your business, also for a specified period of time. Check these at least once a month. Now I could fill this post with other important aspects of bookkeeping, but for the sake of time (and sanity) I’ll leave this section with the point. Keep your accounts/books clean, accurate, and current to obtain financial clarity. Many would assume the major benefit to clean, accurate and current financial statements is relief while filing taxes and enduring audits. However, these statements satisfy far greater than IRS requirements. They provide the information you need to thrive. Having trouble achieving profit margins? Mosey on over to your income statement! Perhaps your expenses are gobbling up revenues. Depending on the data, you may be able to solve this issue by raising your billing rates, reducing the time spent on project phases, or reducing other costs or expenses. Or maybe your profit margins are high but you’re having trouble paying bills. Take a look at all three statements. If you find the total cash from operating activities (Statement of Cash Flows) to be significantly lower than net profit (Income Statement) and your accounts receivables (Balance Sheet) are ridiculously high, then bang on your client’s door and shout “PAY ME NOW!” Or some polite variation if you prefer. Clear financial statements are very powerful tools. Use them to avoid operating in “darkness”. They tell your financial story and help you discover solutions to obtain and maintain profitability! I want to add some nuggets to help boost your bookkeeping experience. Your time is valuable. Great bookkeeping is also valuable, yet time consuming. See the conundrum? There’s a great deal of equations, functions, principles, performance indicators, reports and other “goodies” that shape great bookkeeping. To tackle this beast alone on top of your responsibilities as an architect is really counterproductive. Create a system enabling you to obtain the financial clarity you need to be profitable in as little time as possible. This can be achieved through automation and delegation. You’re a great architect! You have the power to inspire even the most cynical of critics through your amazing structures! This valuable gift does not come without costs. You wear many hats as an architect. From pre-design to construction administration, your tasks and responsibilities are great. And as an entrepreneur, you add extra layers from marketing to financial management. One might mistake you for the Mad Hatter himself! Don’t be a Mad Hatter. Delegate the extra responsibilities to those who do it better. Bookkeeping is no exception. Great bookkeepers are here to help you set up and manage your financial ecosystem. They are here to help interpret your firm’s financial story. They desire to see you succeed in business and in passion. If ever you come across one, ask plenty of questions to help foster a healthy, trusting relationship. For information on automation, delegation and more bookkeeping basics for architects check out these articles. Great bookkeeping doesn’t have to be so burdensome. Embrace it through automation and delegation. Gain understanding to make better business decisions and grow! This is a guest post by Candace Dixon. 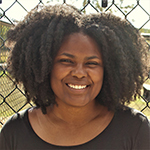 Candace is the owner and head virtual bookkeeper at The Builders’ Keep LLC, virtual bookkeeping for master builders! In 2007, she graduated from the University of Central Florida with a BSBA in business management. As a fellow creative mind, (singer/songwriter) she understands the architect’s desire to simply create without the stresses of business undermining creation. Candace is committed to helping the small firm architect realize their creative and financial goals through profit management. Learn more about Candace and The Builders’ Keep at TheBuildersKeep.com. Candace, kudos on a great article about one of the critically important roles in the make-up of a professional design firm; the role of the bookkeeper. The bookkeeper is the first line of the firm’s developing financial management system. The accuracy and timeliness of the bookkeeper’s duties during the data entry to the Chart of Accounts can significantly impact a firm’s financial reports and its calculated metrics. If anyone has the responsibility of getting it right the first time it’s the bookkeeper. I agree that the big three financial reports are essential to providing clarity and understanding of a firm’s financial condition. My only suggested correction is the use of the term ‘income statement’ to identify the profit/loss (P/L) statement. Of the two forms of P/L statements, the income statement represents the cash-basis P/L. The other report is the ‘internal’ financial management report which is the accrual-basis Profit/Loss Statement. That report deals with revenue, not income, so logically it would be a misnomer to refer to it as the income statement. Thanks for raising awareness of the bookkeeper’s important role in our day-to-day professional activities. Hi Steve! Thanks so much for your kind words. I’m really grateful for this opportunity to share and hope it helps alleviate any anxiety with bookkeeping. Your statement “That report deals with revenue, not income” suggests you perceive these terms completely separate from each other. If you define revenue as the amount earned (accrual-basis) from providing services and income as the amount received (cash-basis) from providing services then I completely understand, respect, and agree with your stance. It’s clear and easy to remember. What do you say to those who define revenue as income (Merriam-Webster)? Or revenue as the amount of money actually received (Investopedia)? Many businesses interchange revenue w/ income for internal use. And many accountants request a P/L statement for external tax purposes. The way I see it, It’s not the name/term that makes the distinction but rather the method, accrual-basis or cash-basis. My accrual-based income statement for a firm will match your P/L statement for the same firm simply because we both reported on an accrual-basis. I will always campaign for accrual-based reporting as it tells the firm’s full financial story. And if the firm needs to present the cash-basis P/L report to an external source, through accounting software, we could easily make that switch. I respect you greatly and will make every attempt to address the statement as P/L while speaking with you. And if this is the preferred term for EntreArchitect, I’m happy to oblige. Hi Candace, thank you for your well-considered response. My assertion about the difference between ‘income’ and ‘revenue’ is offered only as it pertains to our industry and from a design professional’s perspective. It is not my intention to ‘discount’ the realm of accounting or other general business practices. I am merely making the distinction for the sake of my clients, professional colleagues, and the accounting professionals employed or serving our industry, to ensure clarity and avoid confusion and/or misinterpretation. My experience has exposed me to the general lack of understanding,or indifference, in my industry for all things related to accounting. I appreciate your understanding and recognition for my need to keep the terminology ‘pure’ to help bring about greater comprehension of the distinctions between accounting and financial management. The key idea I honed in on was “delegation”. I think it’s so important to realize you can only do so much and the rest is best left to those competent to handle them. Thanks for sharing. Thanks Rachel! A good leader delegates. It’s all apart of working smarter, not harder.